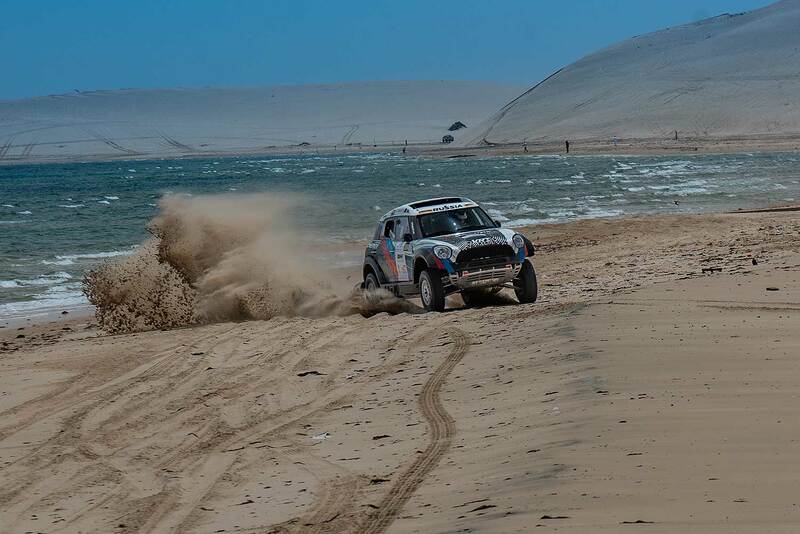 After five days of racing, the Russian G-Energy Team crew overcame 1,360 racing kilometers of Qatar Cross Country Rally and finished the race in second place with their private X-raid Mini, directly behind the X-raid Mini of Jakub Przygonski / Tom Colsoul and in front of the Overdrive Toyota Hilux of Yasir Seaidan and Laurent Lichtleuchter. At this competition the organizers tried to introduce some rules for the co-drivers to work with road books, isolated them from the outside world and limited the help of team cartographers, limited the time and determined the place where the co-drivers were dealing with the race documents. This should encourage them to show their real skills of working with the road book, navigating the terrain, reading the "legend" and solving navigational problems. 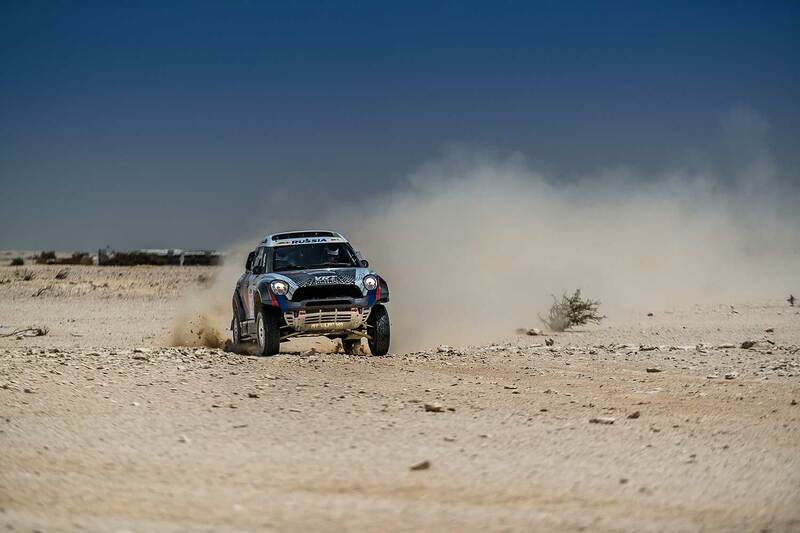 Only two co-drivers coped with all the difficulties of the route; they found all the points on the course with the lack of penalties and showed a great ability to navigate the Qatari roads, as well as the skills of using navigation devices to determine the course. They are Tom Colsoul, the winning crew co-driver, and Konstantin Zhiltsov, who assisted the G-Energy team driver. It is necessary to note this race has always been characterized by difficult navigation: A desert area, dotted with paths and directions far and wide, where you cannot even see traces of a passing car because of the ground peculiarity. Given the small number of participants, this only added complexity. The set of points prepared by the organizers for the participants did not allow the co-drivers to see the landscape, sometimes simply looking from the road book meant missing the position in the "legend" and further searching for the right course in order to reach the desired road. "The impression is good, Qatar is always memorable," said a happy Vladimir Vasilyev after the race. 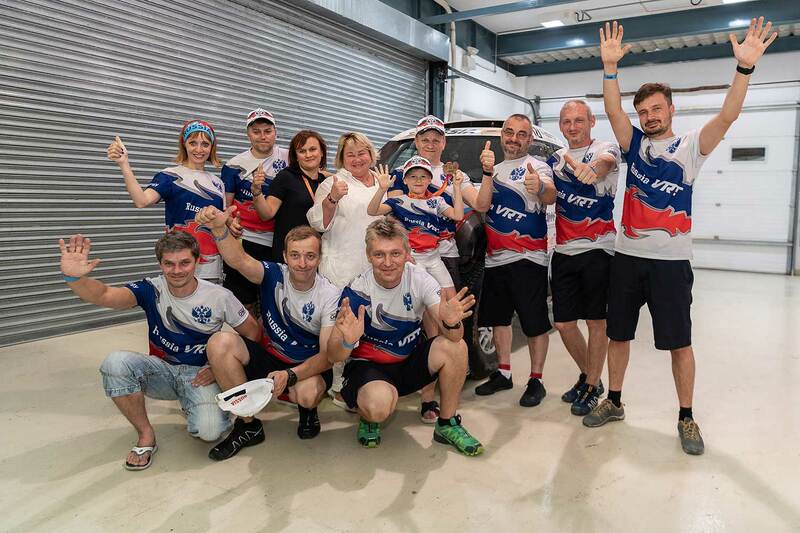 Qatari silver awards go to Russia, and the G-Energy Team crew begins preparations for the next race – Rally Kazakhstan that will be held in Kazakhstan from 27 May to 2 June.